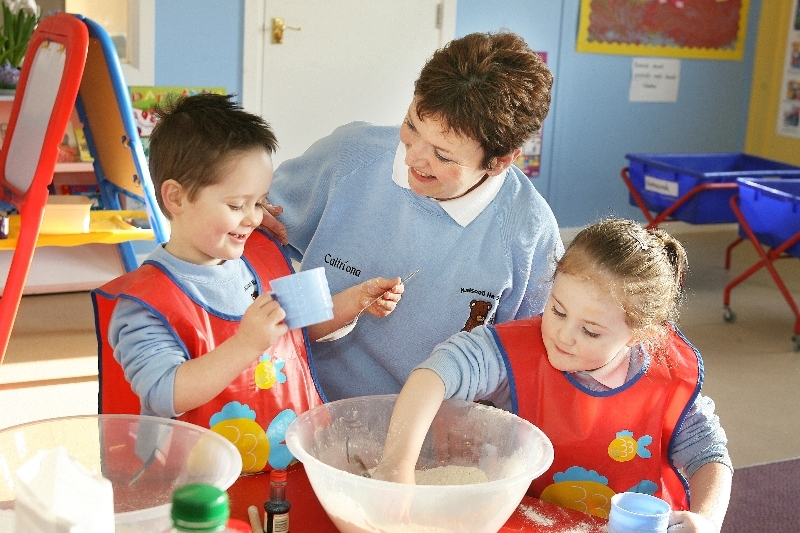 Iontaobhas Na Gaelscolaíochta » An Irish-medium preschool for Magherfelt marks a new beginning in education for local children. 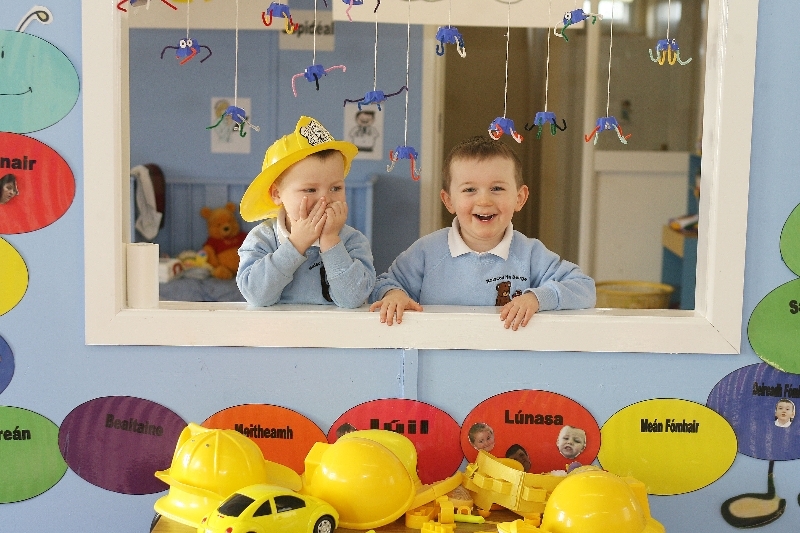 Sonraíonn réamhscoil lán-Ghaeilge tús nua d'oideachas na bpáistí i Machaire Fíolta | An Irish-medium preschool for Magherfelt marks a new beginning in education for local children. 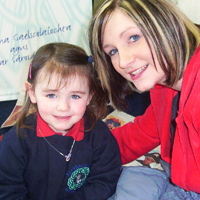 A new Irish-medium preschool for Magherfelt marks a new beginning for the Irish language. 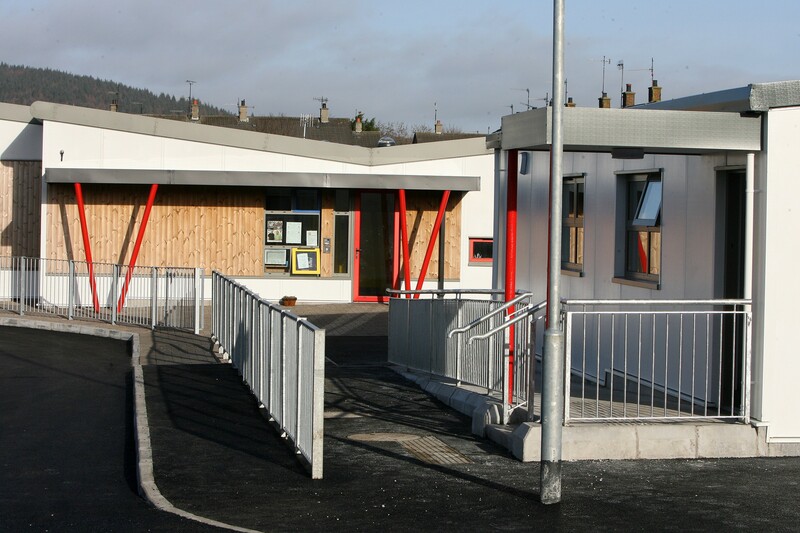 Naíscoil an tSeanchaí, Magherafelt, has 7 pupils. It first opened its doors in September 2005. In January, with grant aid from Iontaobhas na Gaelscolaíochta (InaG) and Foras na Gaeilge the school moved to new purpose built premises on a green field site at Killowen Drive. 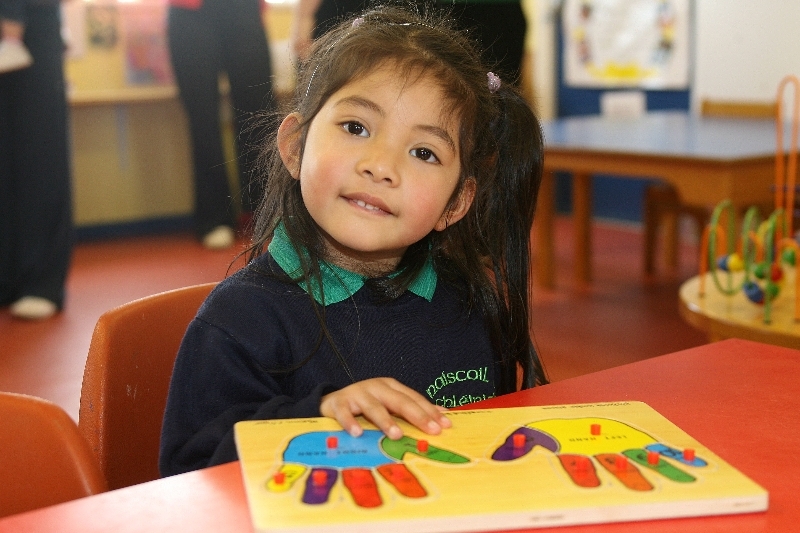 With 8 children already on the rolls for next year Naíscoil an tSeanchaí has become a permanent part of the educational landscape in the town. “We’ve come along tremendously since opening in September 2005” says Damian McConomy, chairperson of the school committee. “Even this week, as we’ve been out encouraging parents to consider sending their children to the school this autumn, it’s evident from the enthusiastic response that people are pleased to have the choice of Irish-Medium schooling here in Magherafelt. While the pupils, parents and teachers are the bedrock of the success of Naíscoil an tSeanchaí we wouldn’t have been able to do it on our own. Seachtar dalta atá ag freastal ar Naíscoil an tSeanchaí, Machaire Fíolta. Mí Meán Fómhair 2005 a d’oscail sí na doirse an chéad uair. I mí Eanáir, le cúnamh deontais ó Iontaobhas agus Foras na Gaeilge d’aistrigh an scoil go háitreabh úr saintógtha ar láithreán úrnua ar Chéide Chill Eoghain. Agus 8 páiste cheana féin ar an rolla don bhliain seo chugainn, tá Naíscoil an tSeanchaí anois ina buanchuid de thírdhreach oideachasúil an bhaile. “Is iontach an fad a tháinig muid ón oscailt i Meán Fómhair 2005,” arsa Damian Mc Conomy, cathaoirleach choiste na scoile. “An tseachtain seo féin, agus muid amuigh ag gríosú tuismitheoirí le smaoineamh ar a gcuid páistí a chur chun na scoile san fhómhar, is léir ón fhreagra díograiseach go dtaitníonn sé le daoine rogha na Gaelscolaíochta a bheith acu abhus i Machaire Fíolta. Is iad na daltaí, na tuismitheoirí agus na múinteoirí buncharraig rath Naíscoil an tSeanchaí, ach ní fhéadfaimis a dhéanamh linn féin.